Next week, on January 16th, the aliens are coming. On that day, the ebook edition of Intraterrestrial will finally touch down on Earth. The paperback will be arriving in the near future, as well—and as soon as there’s an official date, I’ll let you all know. In the meantime, I’m excited to unveil the official book trailer for Intraterrestrial. Watch it below! 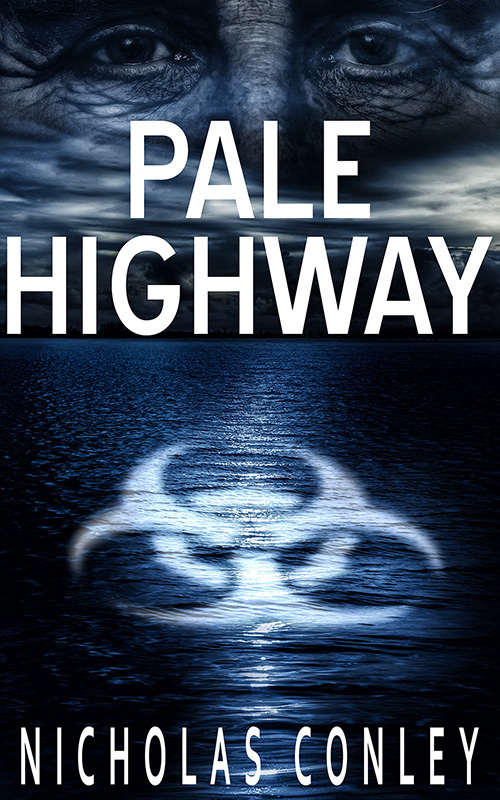 Pale Highway is Now Available on Paperback! Big news for all of you who have been waiting patiently for this day: the wait is over, and I’m excited to announce that the official paperback edition of Pale Highway is finally available on Amazon! This brilliant sci-fi work is a tour-de-force of great writing and meticulous research, all wrapped in a scientific thriller that will have you hoping that Gabriel can solve the life-threatening dilemma before it’s too late — both for him, and for mankind. Five stars-plus for Pale Highway. It is a striking example of what can be achieved when imaginative writers tackle socially significant themes. We’re all the beneficiaries. To have written Pale Highway, Nicholas Conley either really IS a unique alien creature or I want some of what he puts in his coffee! Pale Highway by Nicholas Conley is at once a tautly written sci-fi/fantasy novel, a probing character study, a medical thriller, and a literary gem that explores the complexities and nuances of the human condition. More reviews to come! I salute all of you with a cup of coffee, and for those of you who’ve been waiting for this paperback announcement, I thank you for your patience. Cheers! After all this time, it’s finally here. I’m proud to announce that, as of today, Pale Highway is finally available on Amazon. What I’m feeling right now is so surreal that I can’t quite put my finger on the right word to describe it. I wrote Pale Highway because I believe that people with Alzheimer’s—people who suffer from a neurodegenerative disease that cannot be prevented, cured or slowed down—deserve recognition. It’s crazy to look back on that first day I began typing this story, or the first day that I set foot in a nursing home and met the many residents who lived there, amazing human beings would have such an unexpected impact on my life. Pale Highway is a book inspired by my connection with these courageous people, conceived during my experiences in healthcare, and finally born here, now, today, in the form of this book that I’ve spent the last few years pouring my heart into. And so now, here it is, and I hope you all enjoy the read. Still a couple months off, but not so long! Expect to see more and more information as the date draws nearer. In the meantime, feel free to check out the book on Goodreads, or join Red Adept’s Facebook event page!